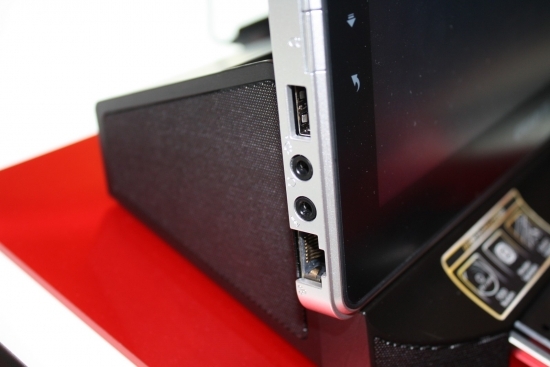 Home Gigabyte Tablets Tablets PC Gigabyte unveils S1080 Slate PC -specs and price review! Gigabyte unveils S1080 Slate PC -specs and price review! Another spectacular gadget showcased at the Computex 2011 is the new Gigabyte S1080 Slate PC, a 10-inch capacitive multi-touch tablet runs with Windows 7 home premium OS, a cool ultimate mobile device. 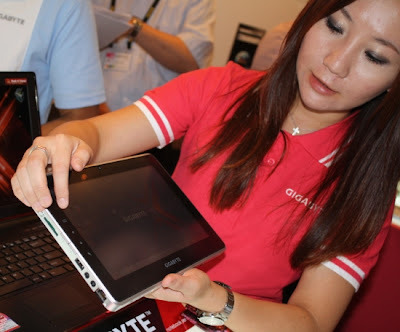 Gigabyte S1080 tablet runs with 1024x 600 resolution,powered with .66Hz Intel Atom n570 dual core porcessor, 2GB RAM and a massive 320 GB HD95,400 rpm). The tablet has Gigabit Ethernet, Wi-Fi 802.11b/g/n, Bluetooth v3.0, and 3.5G module (optional) connectivity. The edges is packed 1.3MP camera,MicroSD card reader, stereo speaker, fast USB 3.0 port, and D-VGA port connector for external monitor or projector .The battery could run up to 4 hours of usage.